Germany's federal criminal police said Thursday they are in possession of files containing personal data on members of the extremist Islamic State group and believe them to be authentic. BERLIN (AP) — Germany's federal criminal police said Thursday they are in possession of files containing personal data on members of the extremist Islamic State group and believe them to be authentic. The announcement came after Britain's Sky News reported it had obtained 22,000 Islamic State files on the border with Turkey and Syria, files that detail IS fighters' real names, where they were from, telephone numbers, and even names of those who sponsored and recruited the militants. Though the significance of these files is yet to be gauged, they could be the largest yet treasure trove of documents found on IS and the most significant leak on its past and present fighters and operations across the Mideast. They could also shape the campaign against the extremist group, which emerged from al-Qaida in Iraq. The cache, exposing its members and their families, could undermine its future ability to recruit and inspire would-be members. US Army Col. Steve Warren, spokesman for the U.S.-led coalition against the Islamic State, said the information could help the coalition fight the Islamic State group by aiding in a crack-down on IS's foreign fighter networks. He said that while he was not able to verify the documents, he hoped that "if there is a media outlet that has these names and numbers, I hope they publish them." This would help bring attention to the problem of foreign fighters joining IS, and would help law enforcement crack down on the problem, he said. "This would allow the law enforcement apparatus across the world to become much more engaged and begin to help do what we can to stem this flow of foreign fighters — so we're hopeful that its accurate and if so we certainly plan to do everything we can to help," he said. Sky said the files were passed on to them on a memory stick stolen from the head of Islamic State's internal security police by a former fighter who had grown disillusioned with the group. Germany's Sueddeutsche Zeitung newspaper reported it had also obtained "dozens" of similar files on the Turkey-Syria border, where it said Islamic State files and videos were widely available from anti-IS Kurdish fighters and also members of the Islamic State group itself. Both Sky and the Sueddeutsche reported that the documents were forms with 23 questions filled out by recruits when they were inducted into the Islamic State. Sky said they included nationals from at least 51 countries. Markus Koths, a spokesman for Germany's Federal Criminal Police Office, the Bundeskriminalamt, told The Associated Press that it had Islamic State personnel file documents such as those obtained by the Sueddeutsche Zeitung. He would not comment on specifics about either the Sky or Sueddeutsche reports amid an ongoing investigation, and also would not say how German intelligence obtained the documents or how long they have been in its possession, "for tactical reasons." He did say, however, "we believe there is a high probability that these documents are genuine." "These documents are of significance for us for prosecutorial reasons and for threat prevention," he said. Similar documents, which have not yet been independently verified, were posted by Zaman al-Wasl, a pro-Syrian opposition website. The documents that Zaman al-Wasl published had the word "secret" at the bottom while on the top it had the name Islamic State in Iraq and the Levant (ISIL) on one corner and the General Directorate of Borders on the left corner on top. 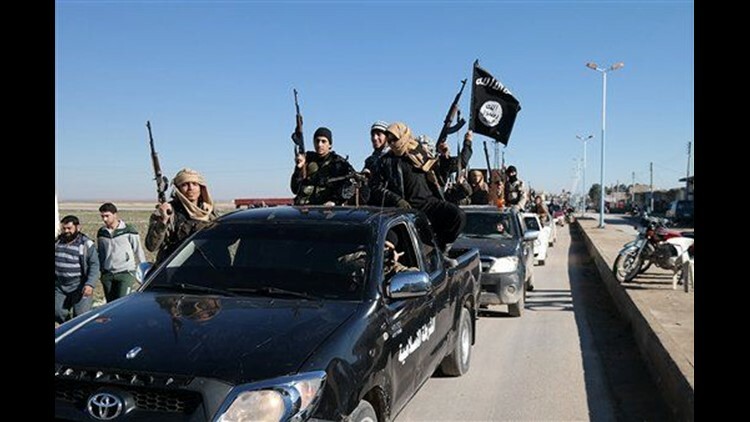 The documents posted by the website stated that the fighters entered areas under ISIL control in 2013, except for one of a Turkish citizen born in 1989 who entered on May 12, 2014. The Islamic State in Iraq and the Levant was the official name of the group before al-Baghdadi declared the Islamic State caliphate in June 2014 after the group captured wide areas of Iraq including the northern city of Mosul, the country's second largest. ISIL was formed in 2013 when al-Qaida's branches in Iraq and Syria known as the Islamic State in Iraq and the Nusra Front briefly merged. After they split in early 2013, those under al-Baghdadi's comment kept using the name ISIL until the caliphate was declared. The date of the documents suggest they may not provide information on IS's current membership, but will offer insight into fighters recruited in 2013 as well as IS's bureaucratic systems. Germany's Interior Minister Thomas de Maiziere told the dpa news agency that the material would give authorities a better chance to track down and prosecute people who had fought with IS. There are no clear estimates of how many Islamic State fighters there are in Iraq and Syria, but the numbers range between 30,000 and 100,000. A CIA assessment in late 2014 put the number of IS fighters at around 31,500. Associated Press Writers Zeina Karam and Bassem Mroue in Beirut, Susannah George in Baghdad and Kirsten Grieshaber in Berlin contributed to this report.